Born at Winnipeg on 1 April 1911, daughter of Alex and Pauline Shack, she graduated from St. John’s High School at the age of 14, received her BA from the University of Manitoba at age 18 (1929) and her teacher’s certificate at age 20. Because of the 1930s Depression it took her two years to get a full-time teaching job so she wrote articles and editorials for a Labour Council newspaper and for the Western Jewish News while doing tutorials and substitute teaching. She began teaching in rural Manitoba, at Foxwarren School (?-?) and Shoal Lake School (?-?). After three years she joined the Winnipeg School Division and was a teacher at Strathcona School (1942-1943) and Laura Secord School (1943-1947). She returned to the University of Manitoba and earned her MEd in 1945. In 1948 she became a Principal, serving at Sargent Park School (1948-1954), Rockwood School (1954-1956), Lord Roberts School (1956-1964), Isaac Brock School (1964-1972), River Heights School (1972-1975), and Kelvin High School (1975-1976). Shack earned a national reputation in the 1950s as a writer and broadcaster of education programs on CBC radio. She also authored several education texts and general interest books including: Armed With a Primer and The Two Thirds Minority (1973) on women in education, and Saturdays Stepchildren (1977) on women in Canadian business. 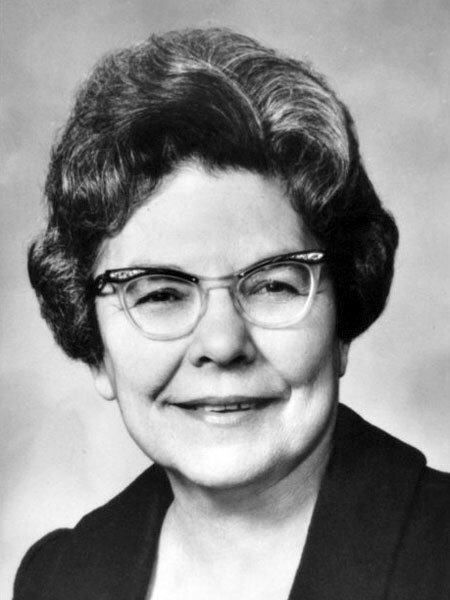 She served as President of the Manitoba Teachers’ Society (1960-1961), and as a director of the Canadian Teachers Federation and she led many professional education committees including the Language Arts Curriculum Council of the Manitoba Department of Education. She was also a founding member and fellow of the Canadian College of teachers. Beyond the teaching profession she served on a number of government boards and commissions, among them the Manitoba Law Reform Commission and the Manitoba Judicial Council. She also served for many years as chair of the Legislative Review Committee, Manitoba Association for Rights and Liberties (MARL) in which capacity she wrote many briefs and made frequent presentations to the Law Amendments Committee of the Manitoba Legislature. She was honorary president of MARL at the time of her death. Earlier she served as national president of the Canadian Civil Liberties Association with which MARL is affiliated. She was also a past board member of the Winnipeg United Way, the Social Planning Council and the Dafoe Foundation and she was a longtime member and supporter of the New Democratic Party. Among more recent activities she was actively involved in preparing for the fiftieth anniversary book of the Jewish Child and Family Services Agency. In 1970, she was awarded a Manitoba Centennial Medal by the Manitoba Historical Society. She was appointed to the Order of Canada in 1984 and received numerous other awards and honours, among them an Honorary Doctorate (LLD) from the University of Manitoba (1969), the Governor General’s Award in Commemoration of the Persons Case (1984), and the Manitoba Human Rights Achievement Award. She was inducted into the Winnipeg Citizens Hall of Fame and the Manitoba Order of the Buffalo Hunt. She was a member and supporter of many organizations, from the Manitoba Action Committee on the Status of Women to Amnesty International and the Winnipeg Humane Society. She was a mentor and role model to many people through her teaching years and beyond. She died at Winnipeg on 22 January 2004. Her papers are in the University of Manitoba Archives & Special Collections. Obituary, Winnipeg Free Press, 25 January 2004. We thank Bobbi Jo Panciera for providing additional information used here.